Good afternoon. 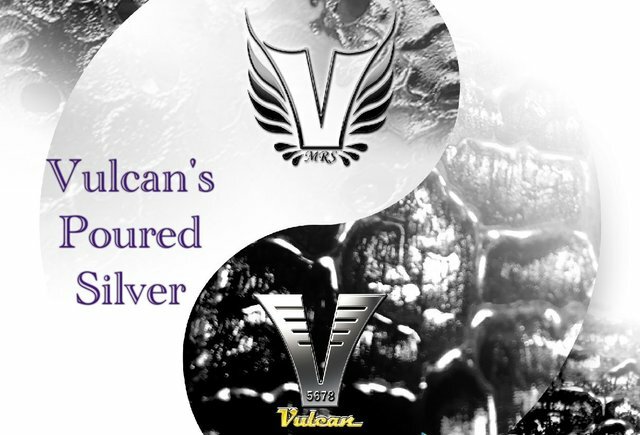 Today I am sharing Vulcan’s Poured Silver first project. 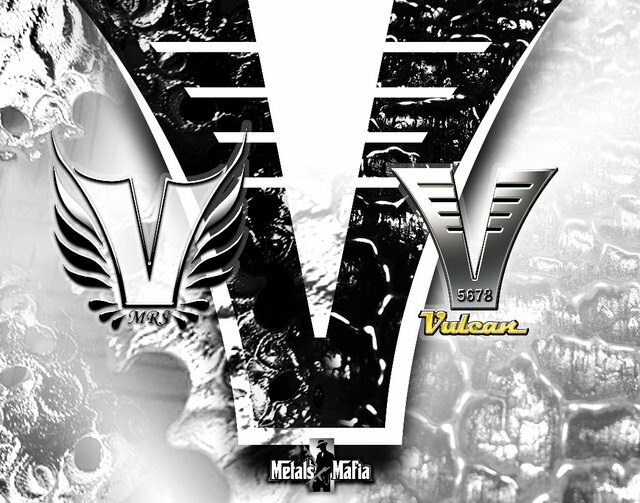 @mr-vulcan and I work together at the pouring bench all the time but we are always working on our own individual projects. Right now our individual projects are on hold while we wait for our silver order. During a visit with our northern neighbor friend Howard, he commissioned us to do some pouring for him. It is two separate projects. He sent us home with some silver, arrowheads and a rooster foot. Project one Arrowheads. He wants us to pour these 17 arrowheads. They all vary in sizes, shapes and textures. The largest one will be about 10ozt and the smallest will be less than 1/2ozt. Sadly we will need to return these back to him once we are done. There are some really interesting looking arrowheads. We began this project last night. We were able to get a couple of them poured before it was time to eat dinner and chill for a bit. The first one weighs 1.1ozt and the other is 1.8ozt. Project two Rooster Foot. I did share a picture of it in a post about week ago. Our plan is to attempt the foot this weekend. I will share with you how this project went next week. I am sure we will be doing more of these combined projects in the future. It was fun working together. Thanks for taking a look and have a good evening! 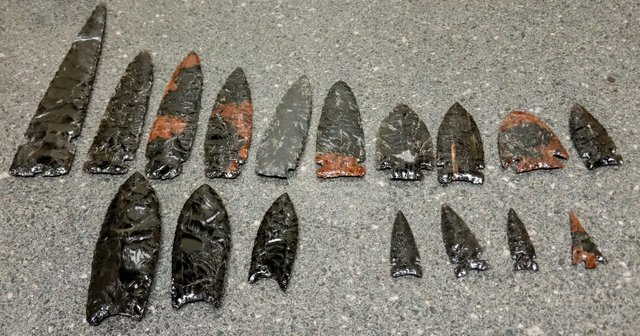 These are great looking arrowheads! are you making enough to let go of some perhaps??? We will have the arrowheads for a bit. We could make some for you while we have them. What are the dimensions of the first and last ones on the top row for comparison? I am deciding on a few. The first is 7" long and 1 1/2" at the base It would come in around 7ozt. The last is 2" and 1" at the base. We poured that one last night and it's .7ozt. I can calculate the silver weight pretty accurately on these so let me know which ones you are looking at and I can give you an approximate weight. 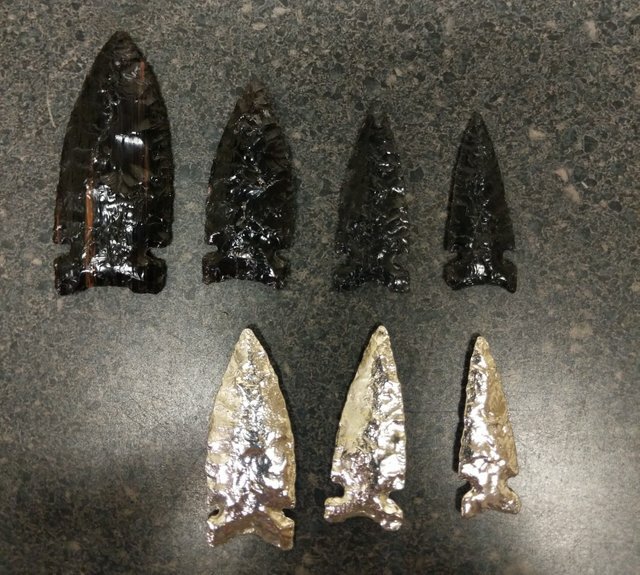 one each, for a total of four arrowheads. what would that look like? I'm in Colorado BTW. Yes! I will contact you later on this weekend! So stocked to see that chicken foot maybe a monkey fist next? So... did you have to freeze the rooster foot, or dry it... did it smell, like it has been a week or so, right? Looking forward to your pour! And very cool arrow heads and lethal for zombies and draculas! 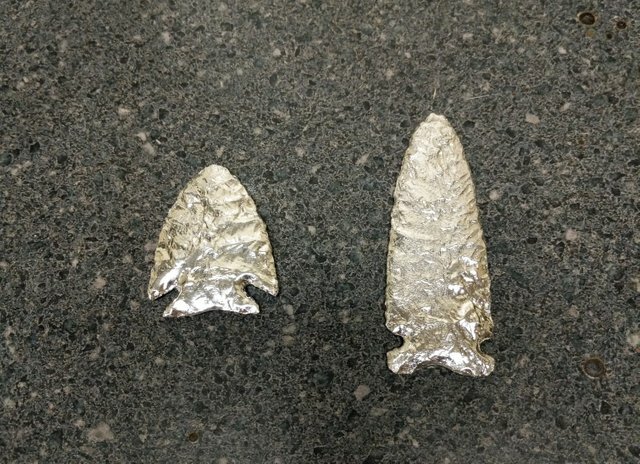 When your combined work is done, you will have an amazing collection of silver arrowheads. I can't wait to see them all. We worked on the smaller ones last night. We finished 6 more last night. So far the small ones are my favorite.